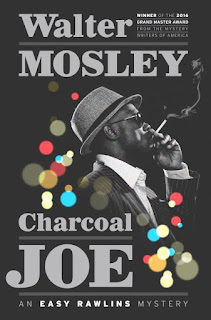 A few years and a few books ago, Walter Mosley toyed with the idea of killing off his most famous character. I’m so glad that he had a change of heart because Easy Rawlins is one of my favorite characters in the literary realm, and not just because I still picture him as the smooth talking chocolate man Denzel portrayed in Devil in a Blue Dress. Easy is a thinking man’s man and a lady’s man. This new chapter in his life finds Easy at the advent of a new business venture. He’s partnered with two other “detectives,” Saul Lynx and Whisper Natly, two men who know and are known in the streets as well as he is. Before Easy can get comfortable in his newly formed partnership, his old friend Mouse knocks on his door with an offer he can’t refuse. And actually, Easy would have refused if it had been anyone other than Mouse asking. As Easy cruises the streets of LA looking for a missing college student, at the request of Charcoal Joe via Mouse, he runs across a variety of characters that typically round out any Walter Mosley book. However, you’re in for a treat if you’ve read other Mosley series because he brings in the one and only Fearless Jones. If you’ve read the Fearless series, you already know that he’s an unassuming man, a quality that causes his opponents to underestimate him. 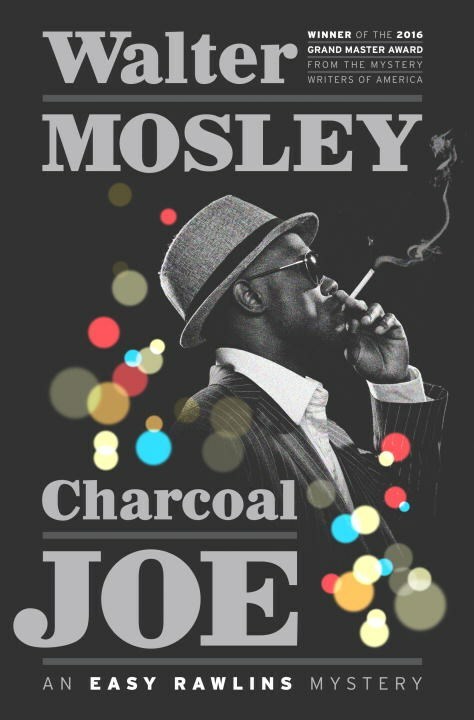 But Fearless is a quick thinker and he’s nice with his hands, two qualities that Easy needs if he’s going to find Seymour Brathwaite and get him back home to his mother, Jazmine, and her benefactor, the infamous Charcoal Joe. I love Easy, but I LOVE Fearless and my heart did a little squeal when I realized they were going to be working together on this case. Occasionally, Mosley brings characters from other books into the picture, but they play bit parts. For example, Brawly Brown from an Easy novel written 15 years ago pops up in Charcoal Joe, but only for a minute. Reference is made to Paris Minton, Fearless’ partner in crime, but we don’t see him in the book. So I was excited to find that Fearless would be in the picture for a great deal of the story. The only character missing from what I would consider to be Mosley’s great triumvirate is Socrates Fortlow, the ex-con that Mosley introduced readers to back in the late 1990s. Each man is a great character in his own right, but when they come together, you just know something is about to jump off and whatever it is, they’ll be able to handle it.